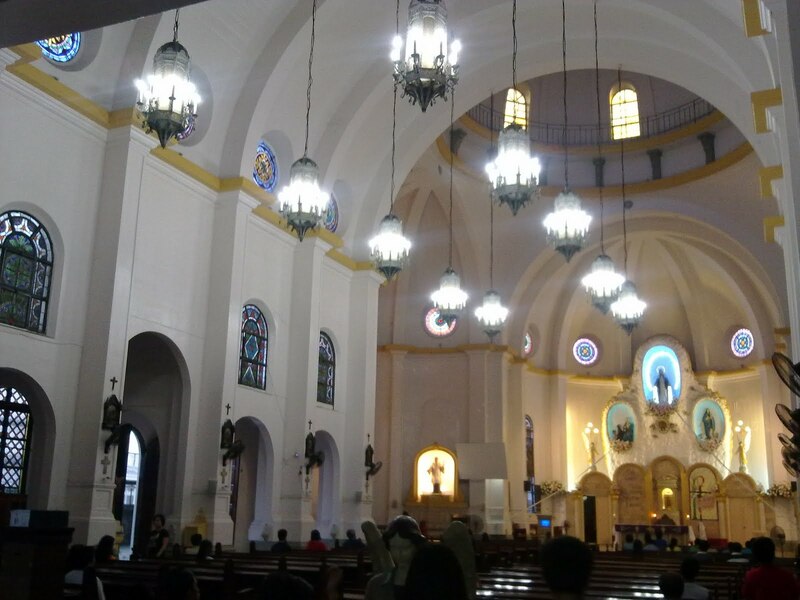 It has been the tradition among our friends to have a Visita Iglesia every Maundy Thursday and over the past decade, we’ve been to quite a number of churches not just in Metro Manila but also in nearby provinces. 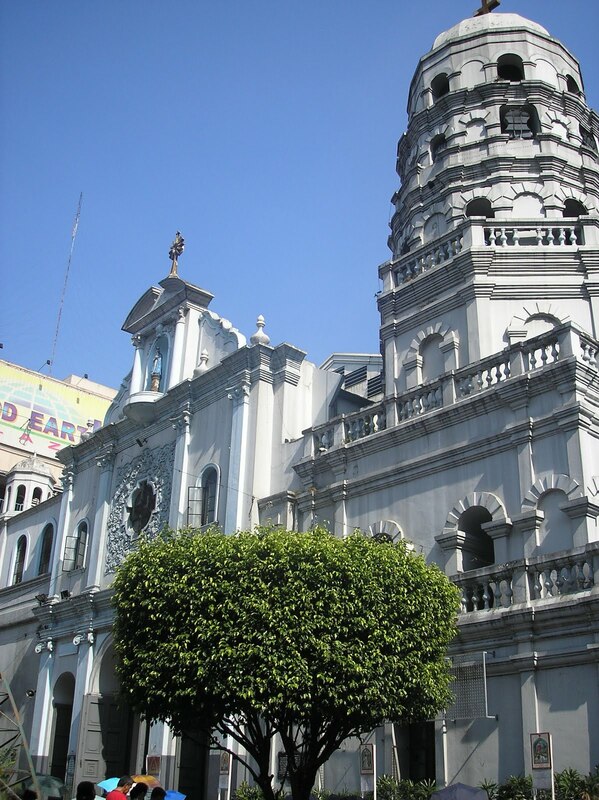 a) Santuario de San Antonio – located along McKinley Road in Manila. 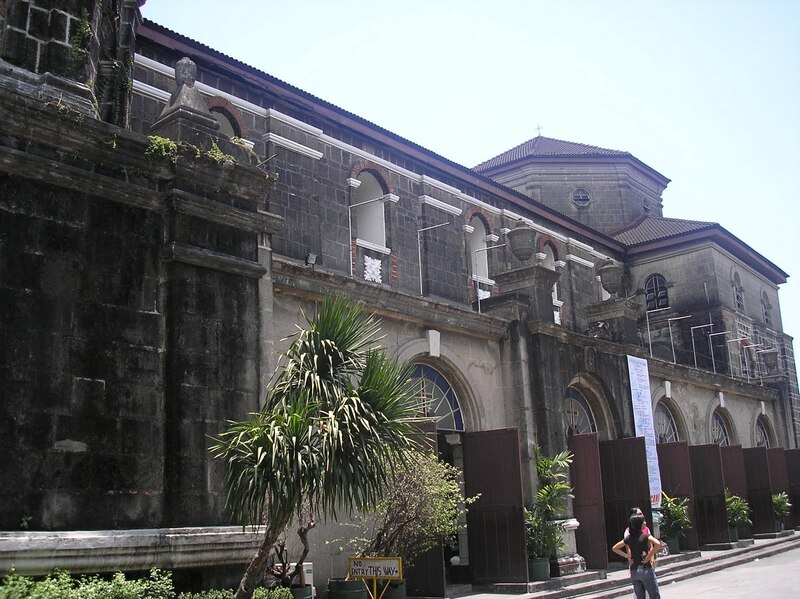 After the Franciscan church in Intramuros was destroyed during WWII, the order relocated to Makati , building their new church on the two hectare land the Ayala Corporation donated. Construction of the church began in 1951 and was completed in 1953. 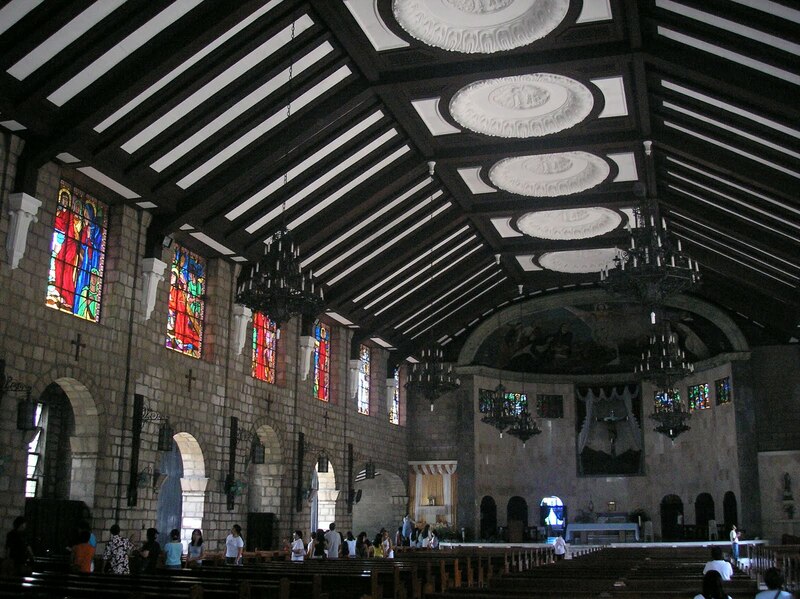 This church is famous for its high society weddings, baptisms, and even funerals, as most of its parishioners are residents of Forbes Park and Dasmarinas, two of the most, if not the most, exclusive residential villages in the country. Indeed, you would need an endorsement from a parishioner residing in those villages to have your wedding in this church. 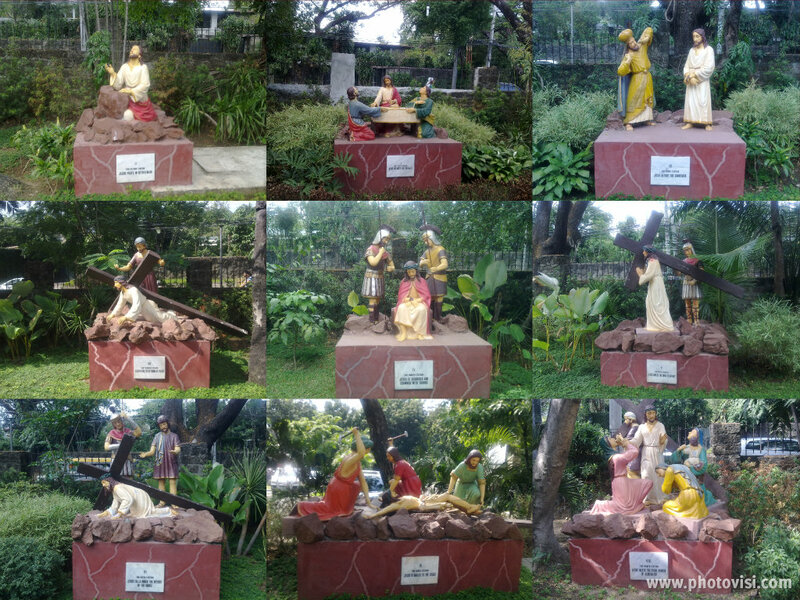 What is probably the best feature of this church is the almost life-sized stations of the cross in its garden. 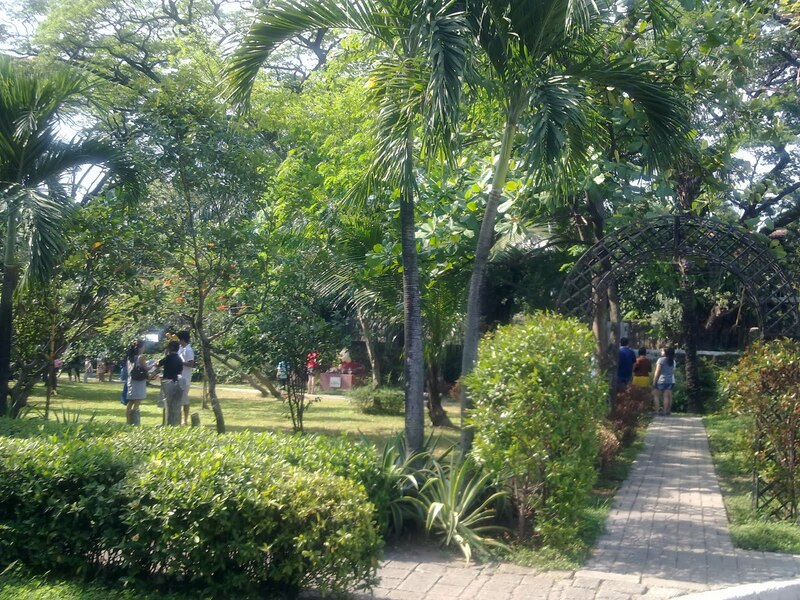 The garden of the Santuario is quite big and well-maintained. 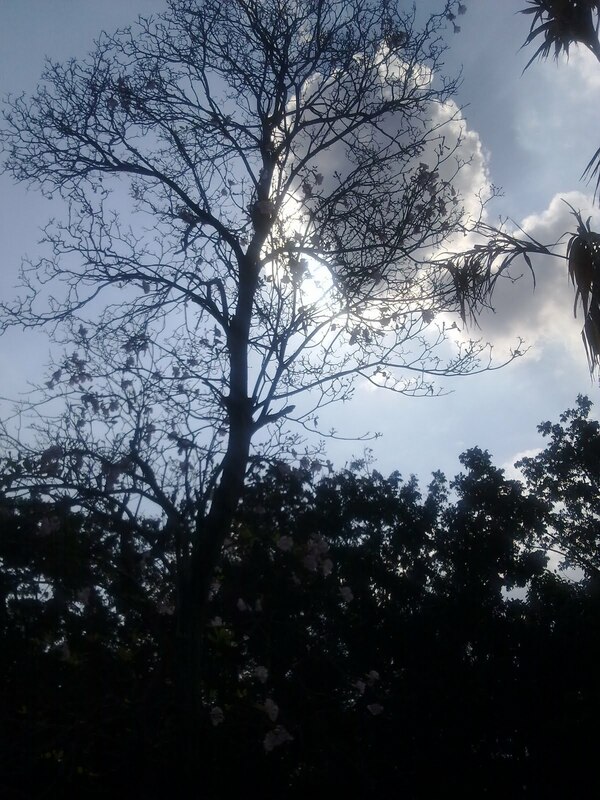 Trees provide shade and you can just sit at one of the stone benches strewn here and there. 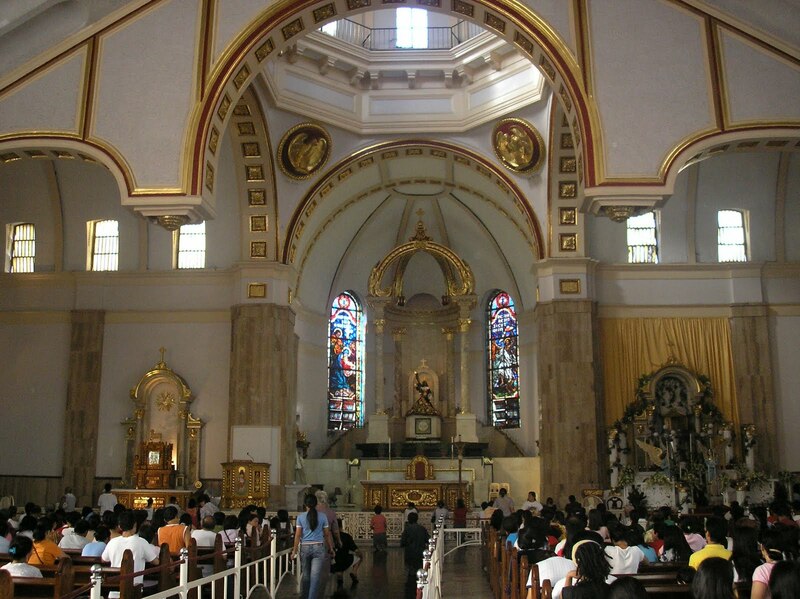 b) Minor Basilica of the Black Nazarene (Quiapo Church) – This is the home of the miraculous Black Nazarene, whose feast every January 9, called the TRASLACION or the journey of the Black Nazarene from Luneta to Quiapo, draws thousands, if not hundreds of thousands of devotees. The first church was built in the late 16th century, but the present church dates only to the early 20th century. 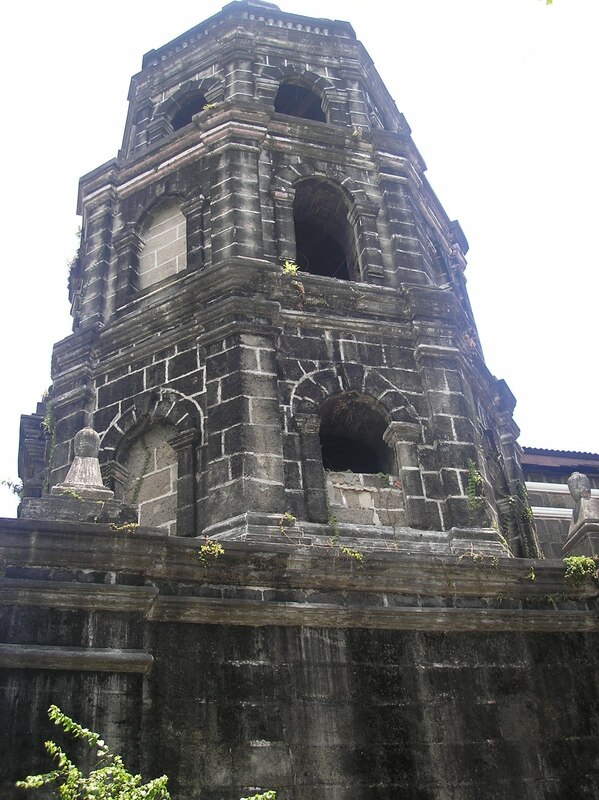 Surprisingly, it survived WWII with hardly any damage despite the nearby building all being razed to the ground. 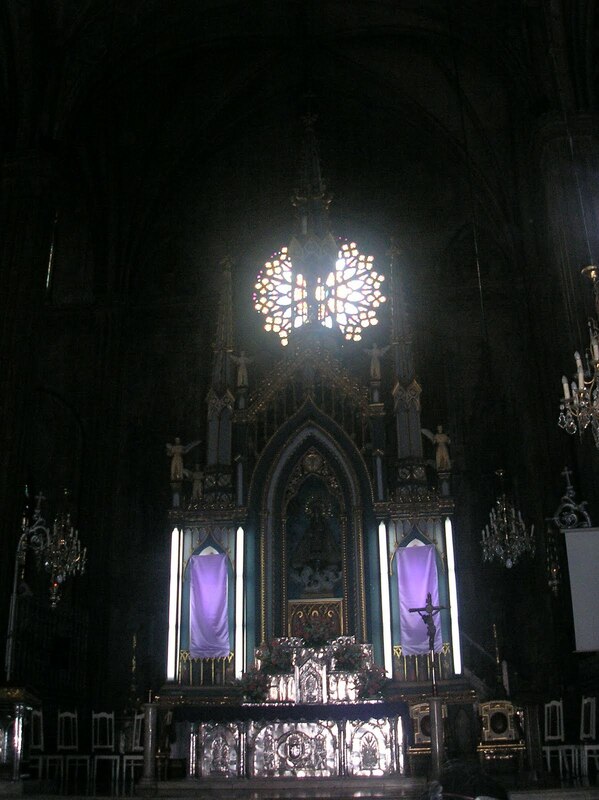 I don’t have any particular affinity with churches, as I believe it’s not where you are praying but how sincere your prayers are that matters, but in my almost thirty years of existence, all the wishes I’ve made at the Quiapo Church have come true. 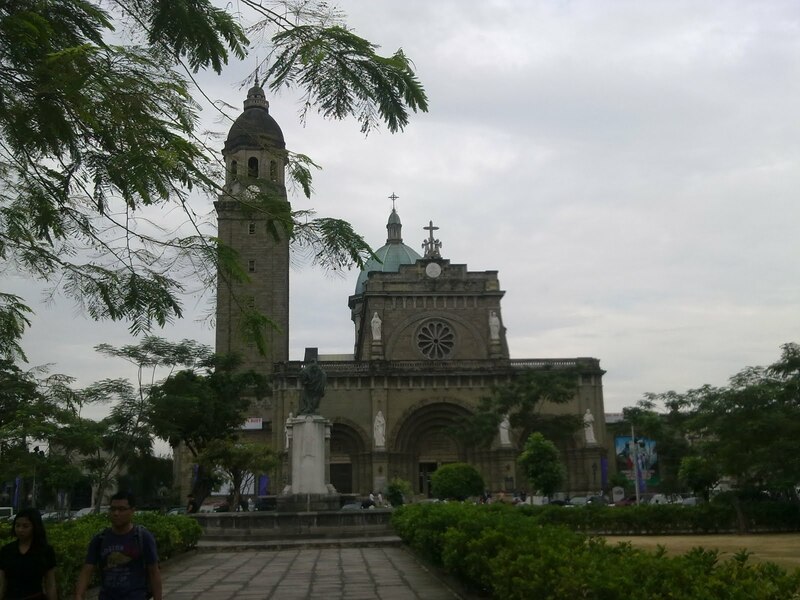 c) Minor Basilica of San Sebastian (National Shrine of Our Lady of Mount Carmel) – located in Manila beside the San Sebastian College, this church is notable for its Gothic architecture and is the only all-steel church in Asia. 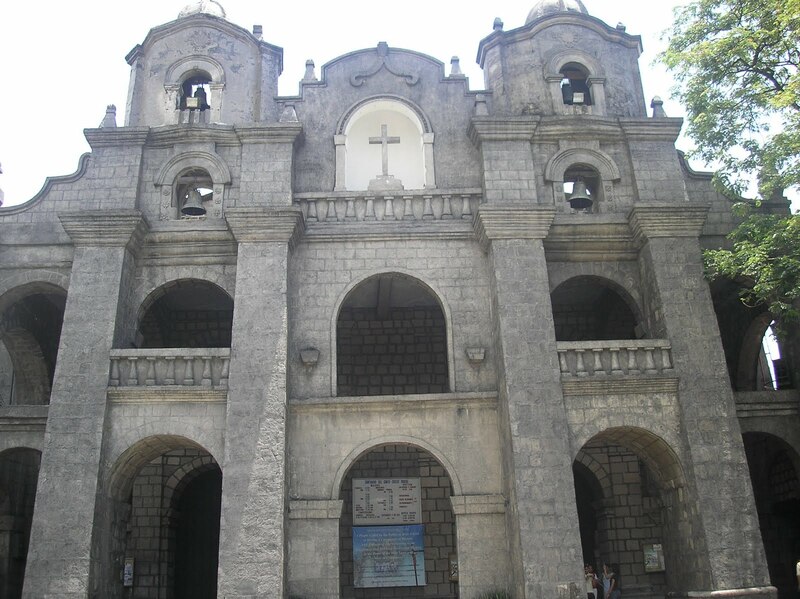 The original church was built in 1621 but has been rebuilt many times after being destroyed by fires, earthquakes, and wars. 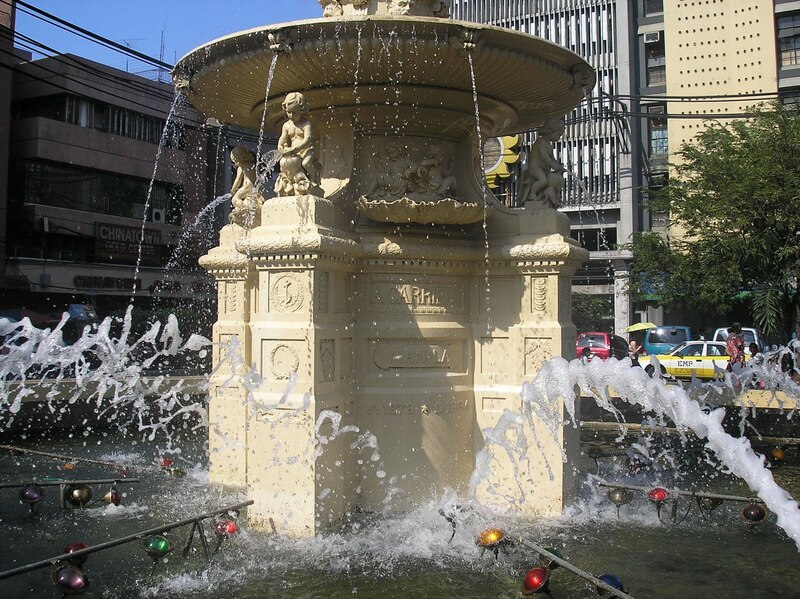 The present structure is the fifth to be built on the same spot and was completed in the 1890s. 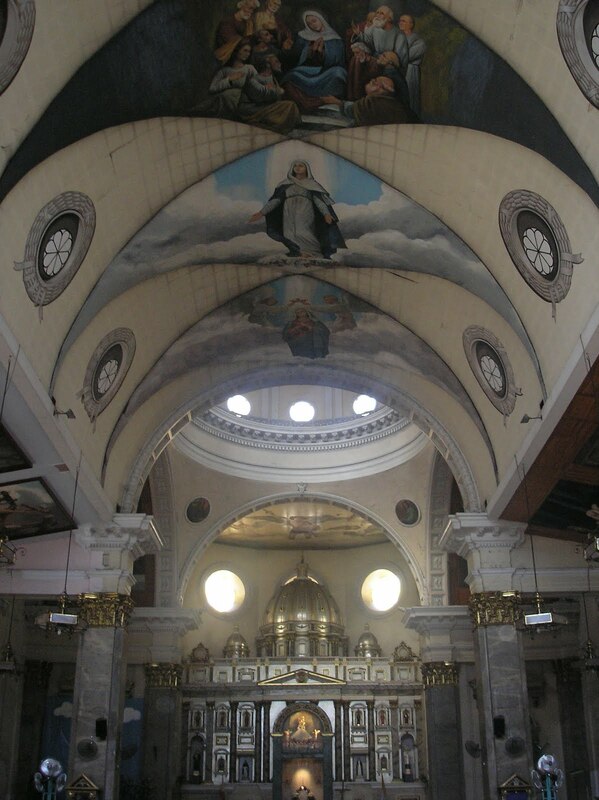 Fifty two tons of prefabricated steel sections were transported in eight shipments from Belgium to Manila, and the interior of the church was painted with trompe l’oleil effects (similar to the San Agustin). 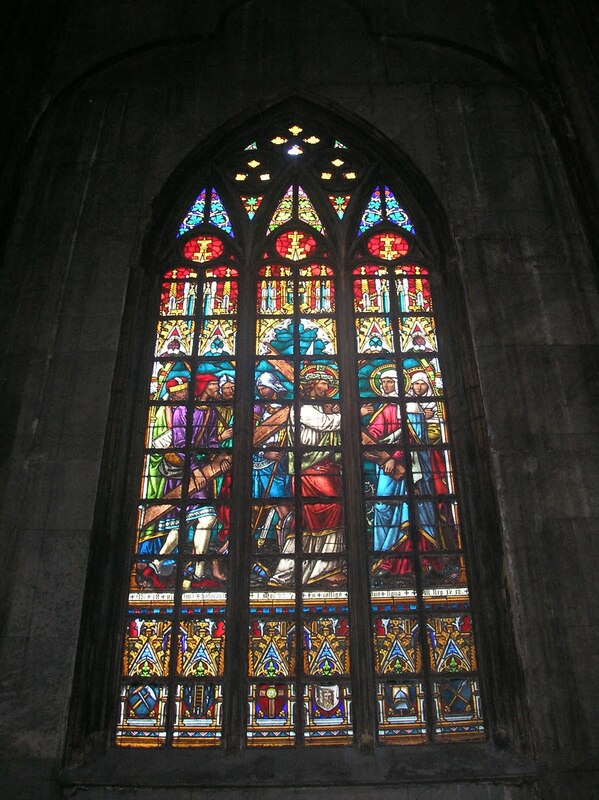 The stained glass windows were all imported from Germany. It is said that Gustave Eiffel (the architect of the Eiffel Tower and the Statue of Liberty) had designed the San Sebastian, after reports surfaced that he had made plans for an all-steel church in Asia. 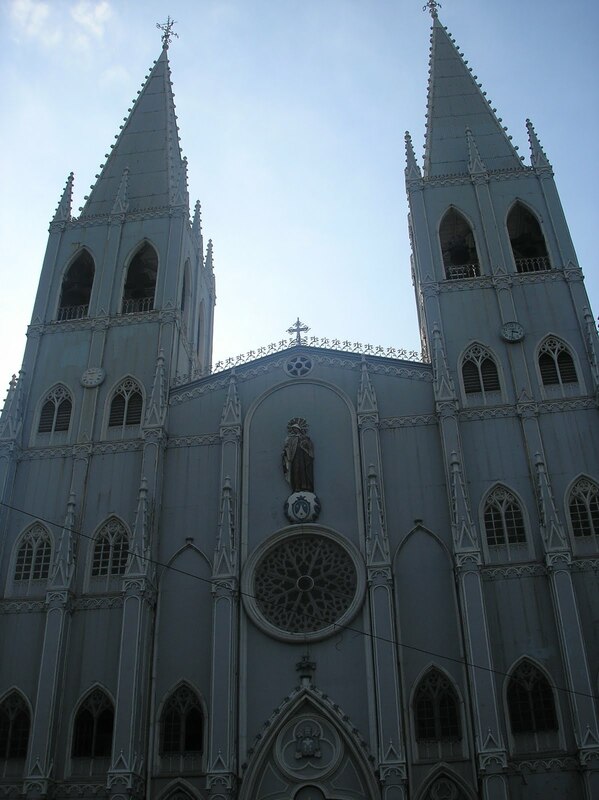 This was never confirmed in his lifetime but studies of the church’s plans and of Eiffel’s documents reveal of plans to build a steel church in Manila in 1875; this would make the idea that Eiffel designed it reasonably plausible as actual construction of the church was done in 1888. 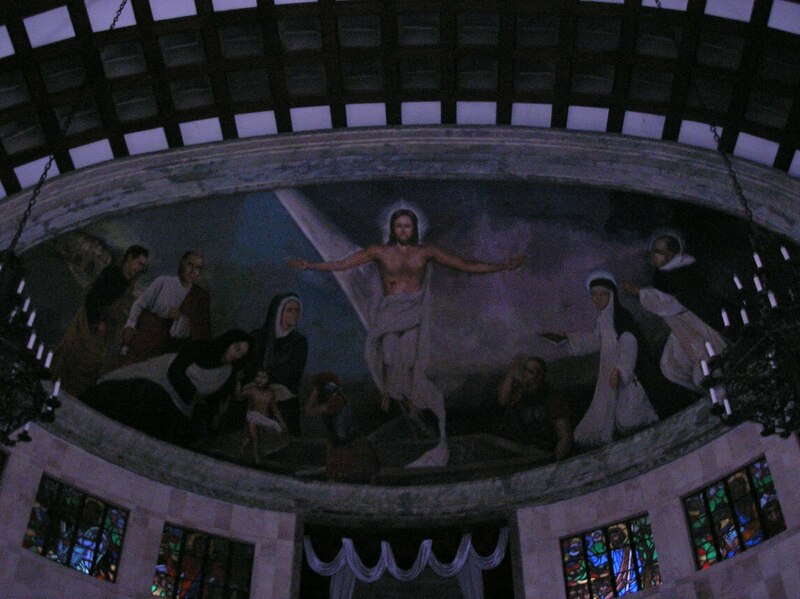 What’s more realistic though, is that he made the initial plans for the structure and Genaro Palacios, the architect credited for the church, finished the actual design for the entire church. 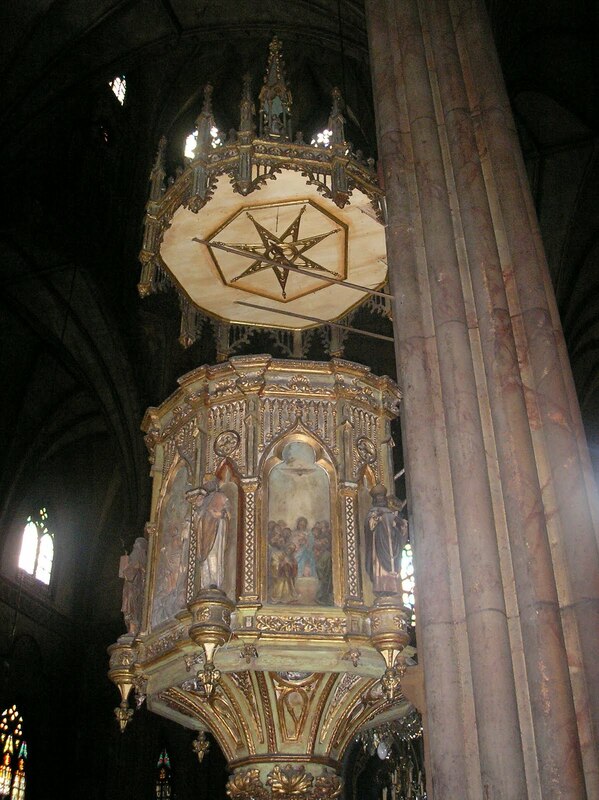 The church also has the image of Our Lady of Mount Carmel, a present from the Carmelites in Mexico sent in 1617. It has miraculously survived all the destruction that befell previous incarnations of the church – only to lose its ivory head to robbers in 1975. Sadly though, the church is slowly being plagued by rust and corrosion, owing to its steel structure. d) Church of San Vicente de Paul (Adamson Church) – built as a chapel in 1883, this served as the parish church of Paco until 1909.
e) Cathedral-Basilica of the Immaculate Conception/Manila Metropolitan Cathedral-Basilica (Manila Cathedral) – located in Intramuros, this is perhaps the most prominent church in the country, due to its being the seat of the Archdiocese of Manila. 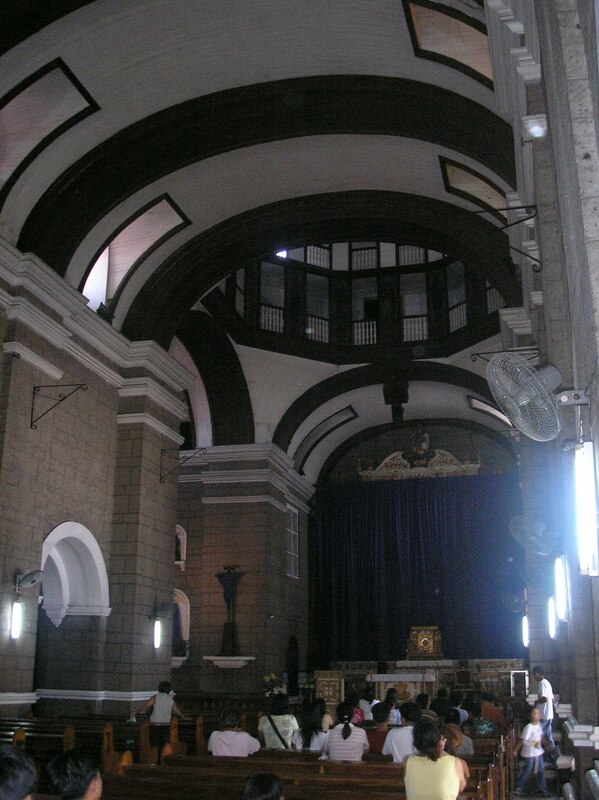 The original cathedral was built in 1581 but the sixth and present structure only dates back to 1958.
f) MInor Basilica of St. Lorenzo Ruiz (Binondo Church) – located in Binondo, this granite church is one of the oldest in the entire country. 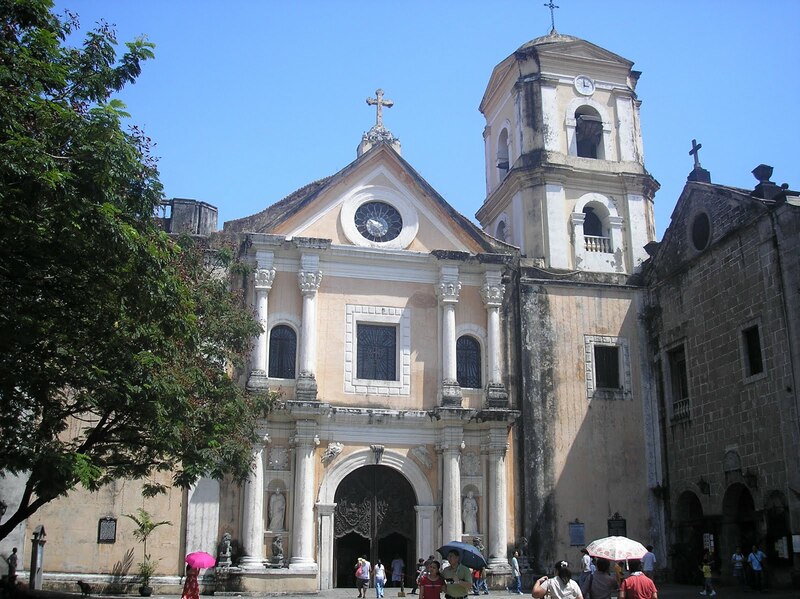 It was founded by the Dominicans in 1596 to serve the Chinese converts. What’s unique about this church is that it’s actually two churches in one: one for the Chinese, and when the community grew big and the need for a parish church arose, another structure was built right beside it, hence, if you walk on the right side of the church, you’ll notice a difference in the walls and even in the interiors. 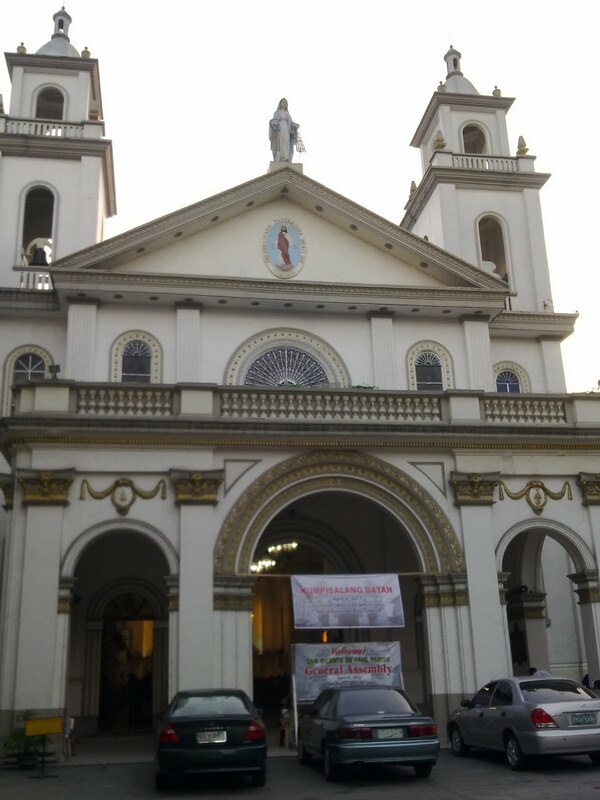 The first Filipino saint, St. Lorenzo Ruiz, was a sacristan at the old Binondo church back in the 1600s. 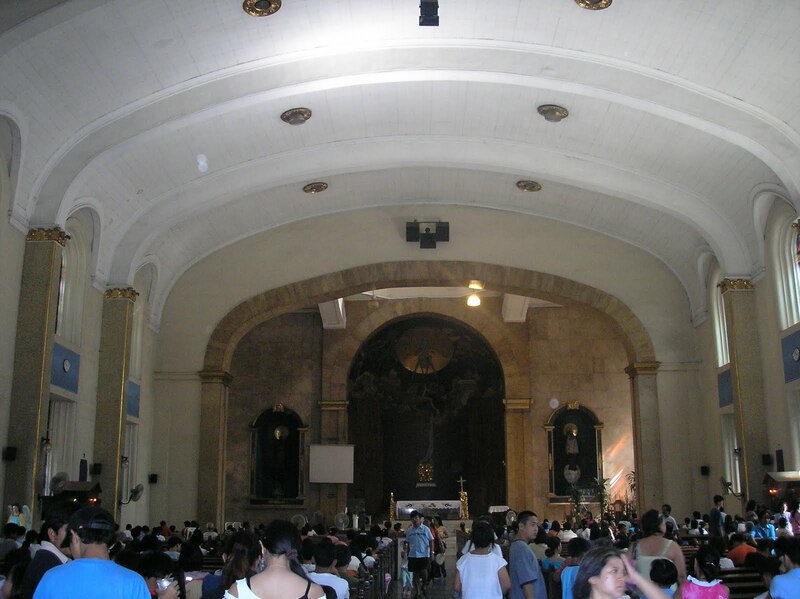 g) Nuestra Senora del Pilar (Sta. 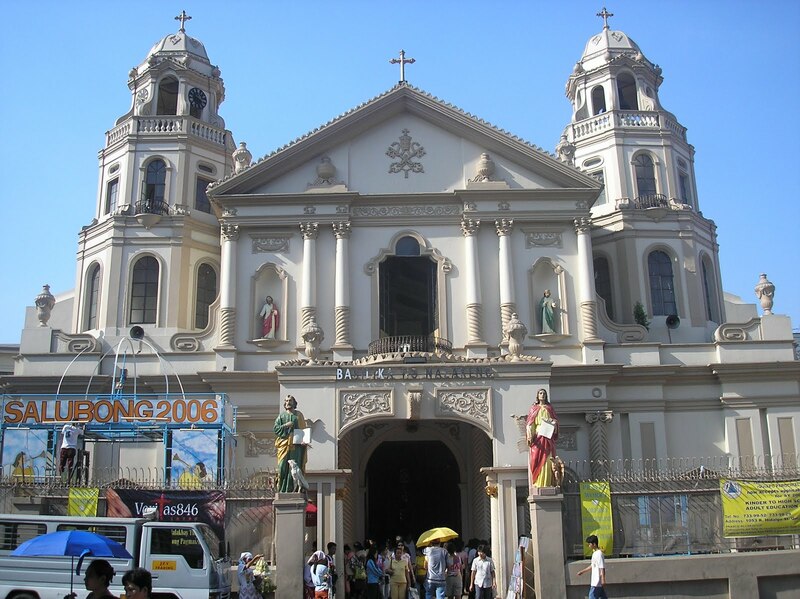 Cruz Church) – built by the Jesuits in 1608 for the Chinese immigrants, this church located along the far end of Escolta, indeed, right smack in Chinatown, has a rich history: this is where Rizal’s mother, Teodora Alonso, was baptized, and this was also the place where the British forces surrendered the keys to the city after a brief occupation in the 1700s. 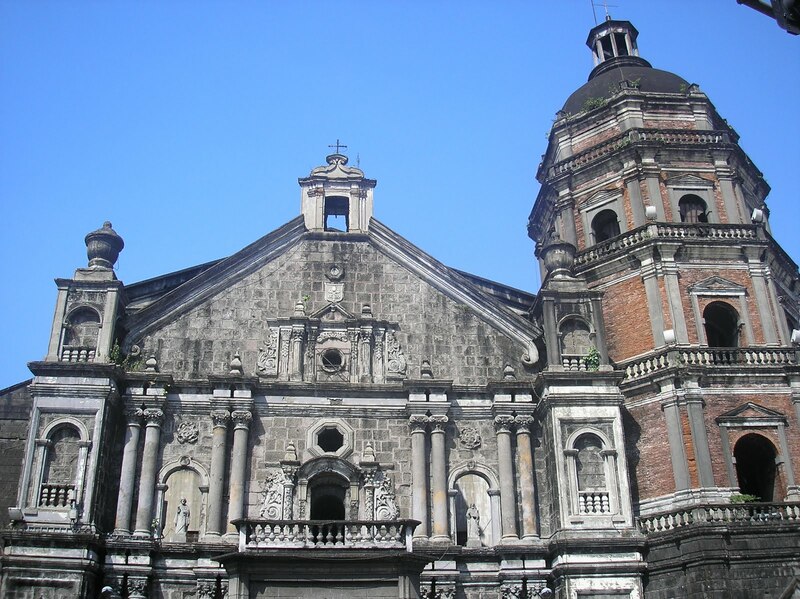 h) San Agustin Church – one of the four Baroque churches of the Philippines desidgnated as a world heritage site by the UNESCO. It’s the oldest stone building in the country, with the present structure completed in 1607. Personally, I think it’s the grandest in terms of interior: nothing beats the 14 side chapels, trompe l’oleil ceiling and the ornate wooden doors. And then you have the museum. And the courtyard. Well, I think I’ve been going on and on about this church. Obviously, it is my favorite – we got married here. Anyway, read about it here. A side though note, due to its age, the San Agustin has not been air-conditioned and the church doors are not allowed to be opened/closed frequently for fear they might fall of their hinges (yes, I tried to have the door closed before I walked down the aisle for dramatic effect; I was not allowed – though Marian Rivera in one of her soaps was). 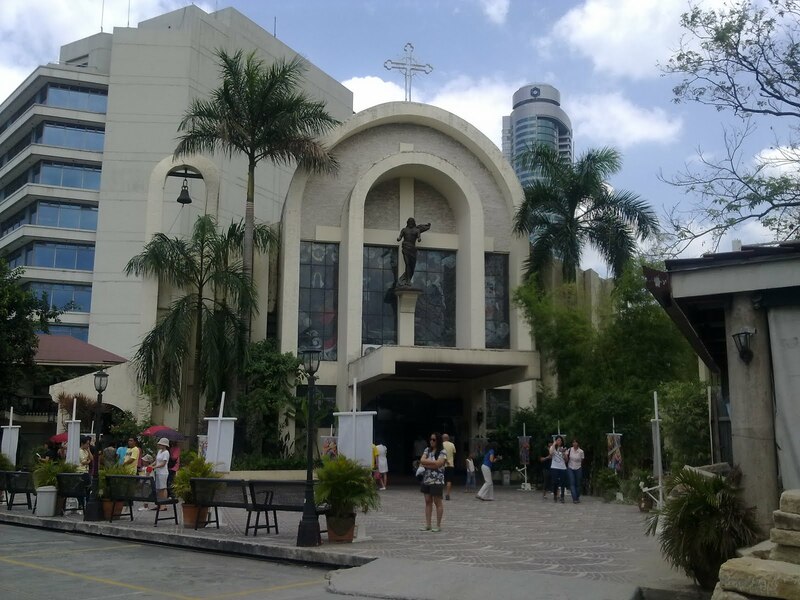 i) National Shrine of the Sacred Heart – one would never have guessed that this national shrine is located smack in a residential area in Makati. 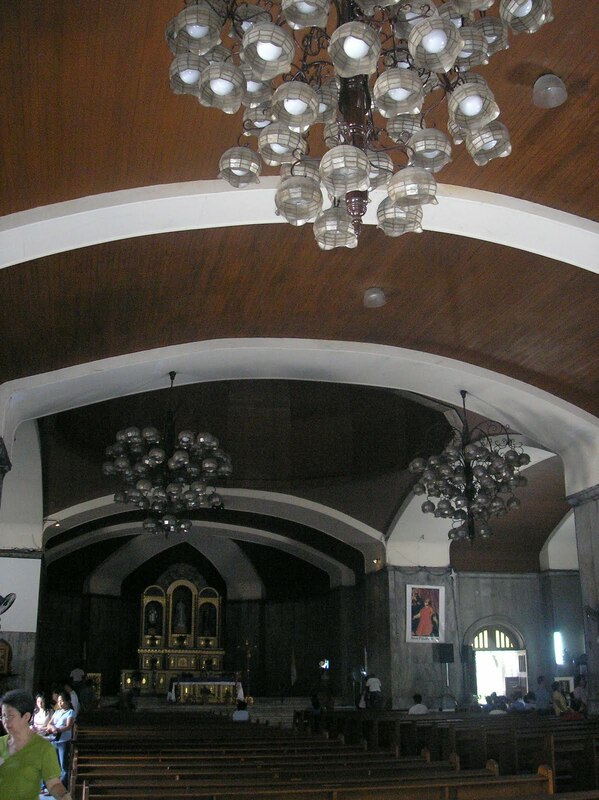 Built in 1976, it currently holds religious artifacts and first degree relics (including pieces of the Holy Cross and crown of thorns, Veronica’s veil). Watch out for my post on this later. 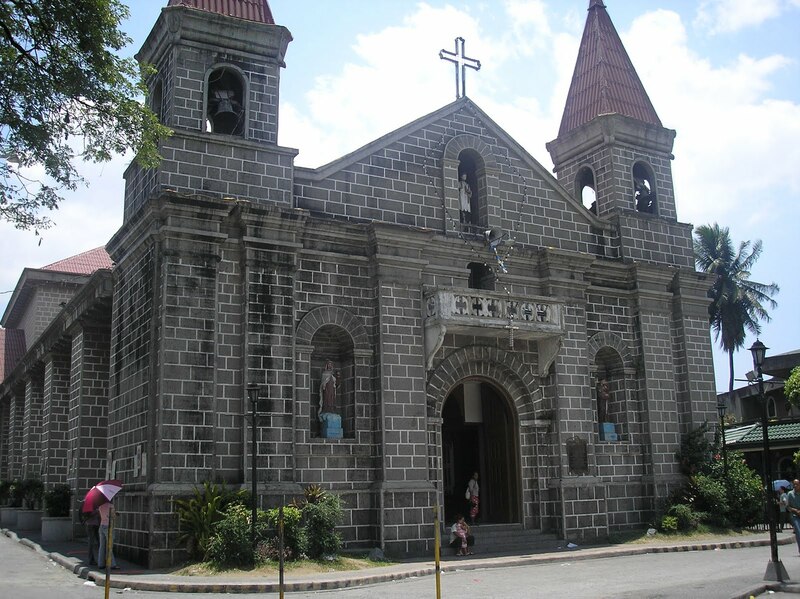 j) Holy Cross Church in San Juan – sits on a three-hectare lot beside the Aquinas School for the Boys (trivia: Aga Muhlach once studied here). The Dominicans originally built a stone church in the same location in 1602 but this church has been rebuilt three times after being ravaged by wars. The facade is simple enough but the interior gives me chills – not because it’s scary but because of the simplistic and clean lines that gives the overall impression of it being perfect. There is also a small courtyard off the right wing where you will find a small fountain and garden. 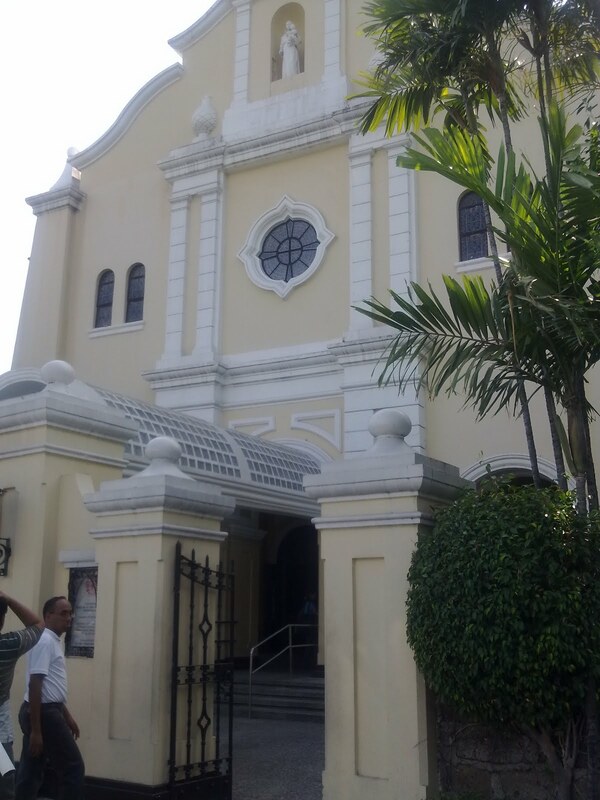 k) San Felipe Neri Church – located in Boni Avenue cor. 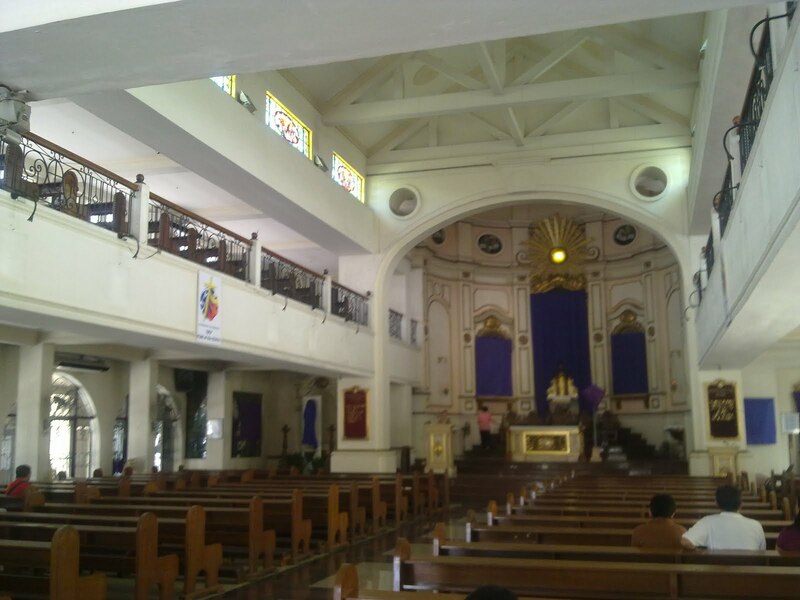 Aglipay St, this is the oldest church in Mandaluyong, established in 1863 by the Franciscans and named after the patron saint of the municipality (trivia: the tiger city was also called San Felipe Neri when it was still part of Sta. 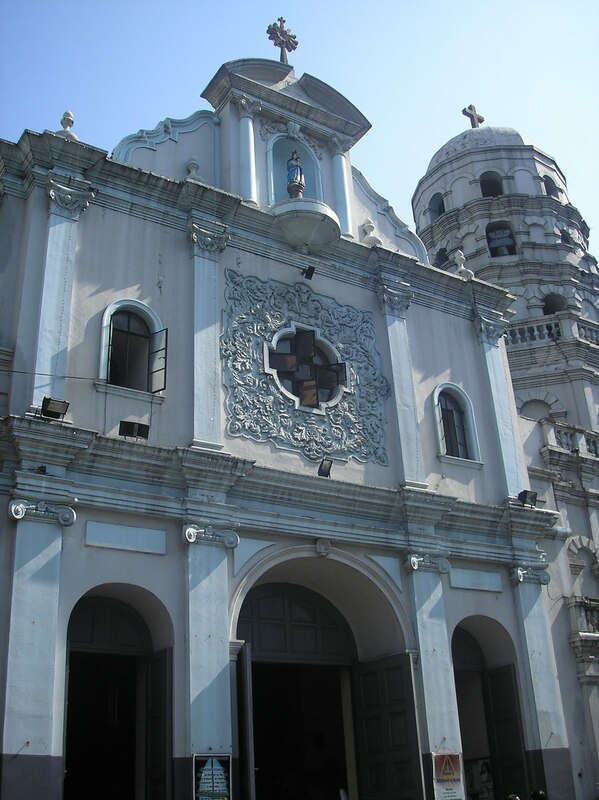 Ana, which in turn was part of the province of Tondo – yes, Tondo was a very huge province back in the 1900s). 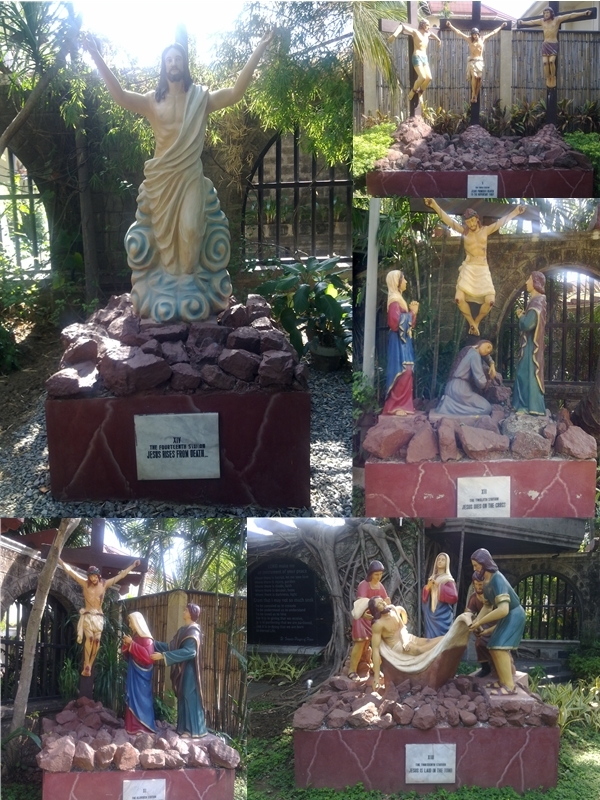 l) Nuestra Senora delos Samparados/National Shrine of Our Lady of the Abandoned (Sta. 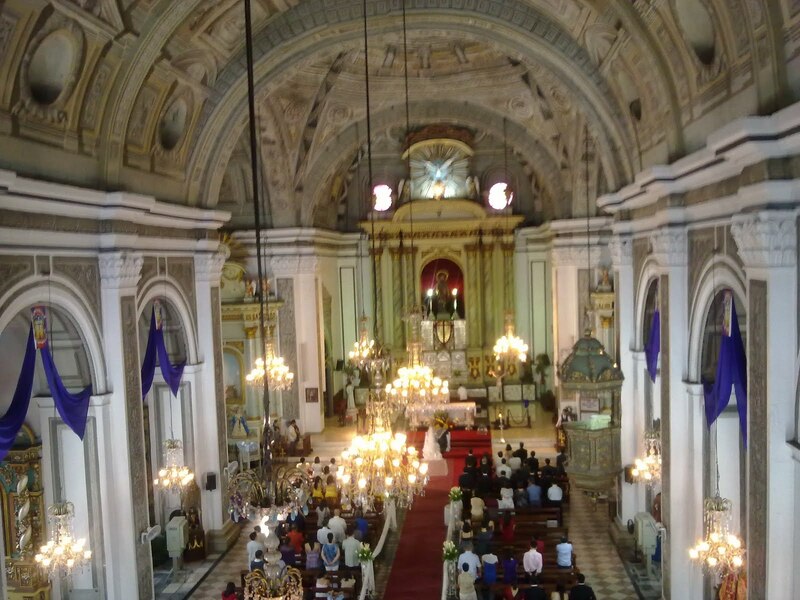 Ana Church) – it’s not quite easy to find this church as it’s nestled in the side streets of old Manila. 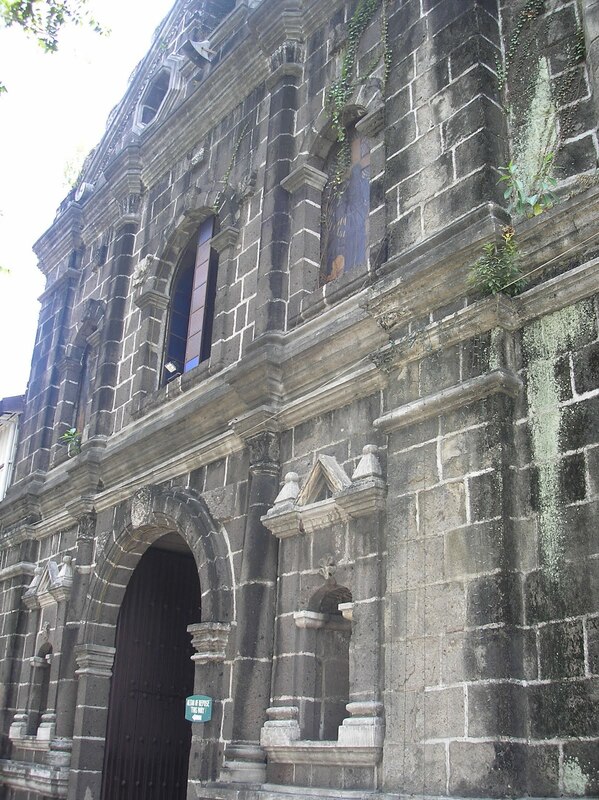 It was founded by the Franciscans in the late 16th century, the first church established outside the walled city. The present-day structure was built in 1720.